Recently, we purchased a new Ford Transit work van. Previously we've used standard brackets/hasps like those pictured above to increase security. However, the new work van presented installation problems for the usual hasps. Also, we hated the idea of drilling into our brand new vehicle. 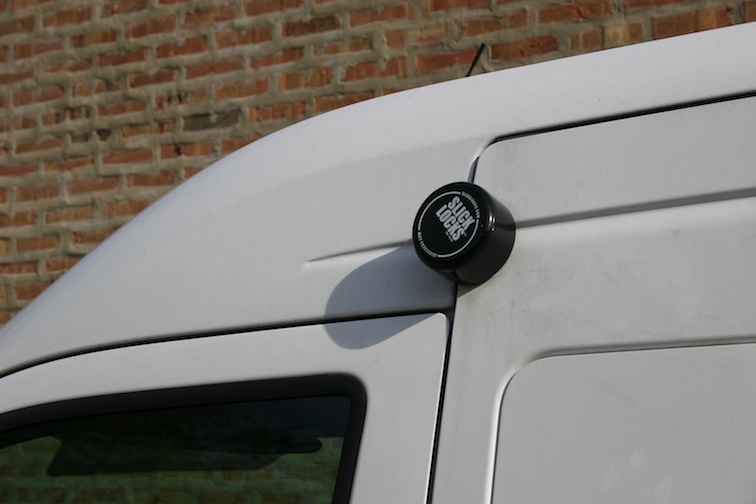 We heard about Slick Locks, a new type of bracket/hasp specifically designed to be used on work vans. We watched the installation video several times and then talked to the manufacturer about becoming a dealer. This is a well thought out product, created by someone who thought there had to be something better to lock up his service van. Made in the USA by it's creator; it has no holes to drill, no rusting of stainless brackets, a no-freeze weather cover and a no-wrench Spinner. 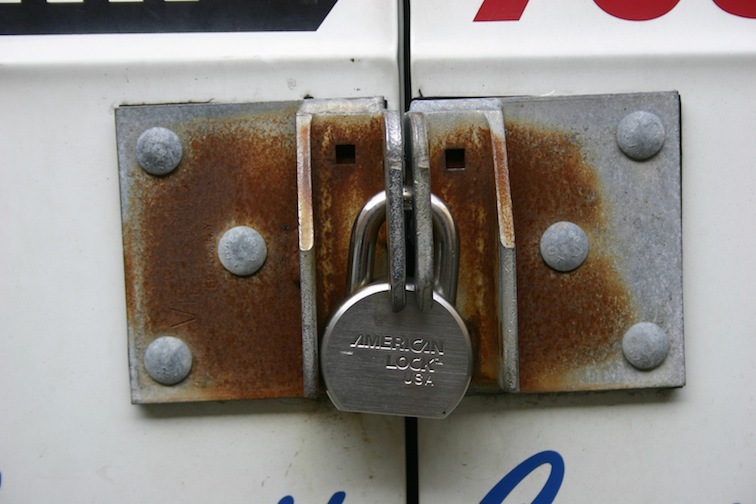 Finally, our vans can have secure locks that enhance their appearance. And they are easy to install.